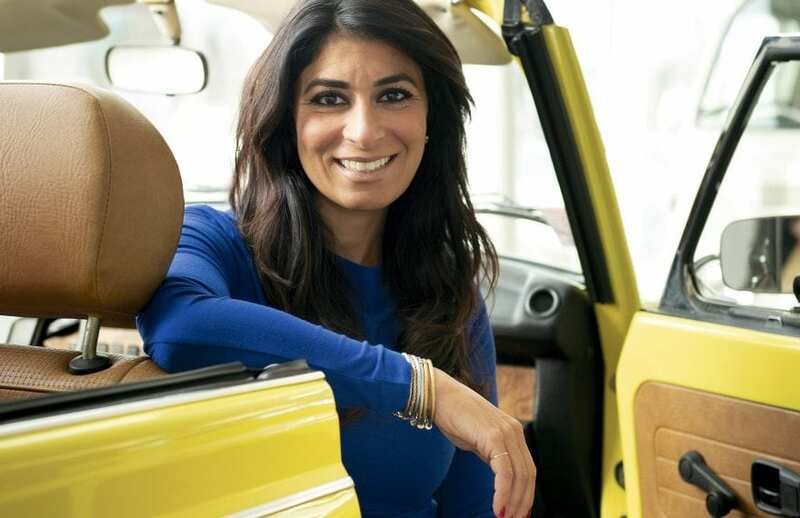 Carla Cosenzi says many people who think they know her story believe she segued from a career in healthcare to one selling cars and eventually managing dealerships because her father, Tommy Cosenzi, had been diagnosed with brain cancer. That’s not really how it happened, said Cosenzi, adding quickly that her father, well before he was diagnosed, changed her career course when he convinced her to put plans to pursue her doctorate in clinical psychology on hold temporarily and spend some time at the family business. Long story somewhat short, she did all that and really enjoyed it, putting a career in clinical psychology on the shelf, if you will, and starting down a much different road. Carla Cosenzi says she shares her father’s ‘wanting more’ attitude, which drives her work in both business and philanthropy. 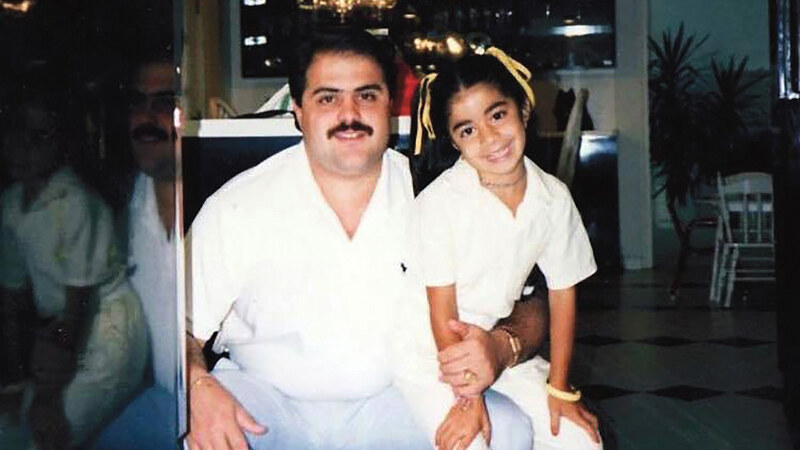 But while her father’s illness wasn’t exactly the impetus for what has become a career in auto-sales management, it was certainly the inspiration of what has become a very important part of her life. 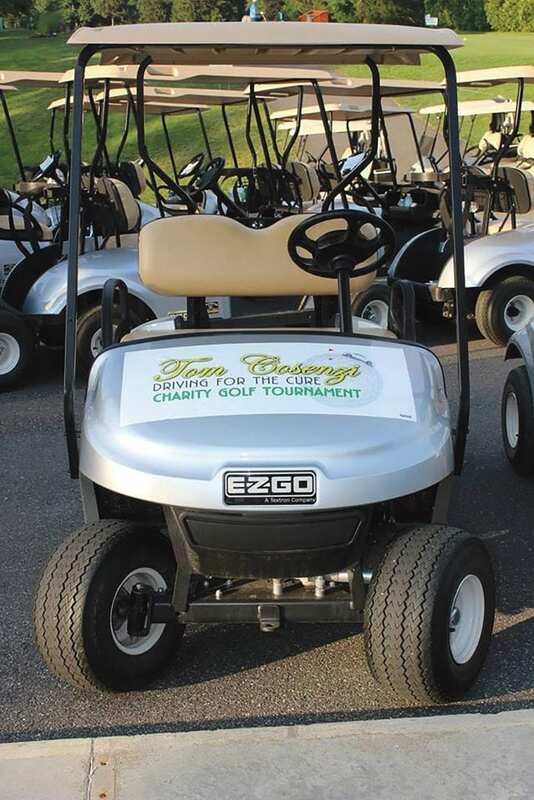 That would be the Tommy Cosenzi Driving for the Cure Charity Golf Tournament, which she started, along with her brother, also named Tommy, in 2010. Over the past eight years, the tournament has raised more than $900,000 to support Dr. Patrick Wen (her father’s doctor) and his research colleagues at the Center for Neuro-Oncology at the Dana-Farber Cancer Institute in Boston, and it will certainly top the $1 million mark with this year’s tournament in August. That money helps Dana-Farber researchers design novel clinical trials to test and develop targeted therapies that have not previously been studied in brain tumors, initiating several clinical trials in immunotherapy and conducting groundbreaking basic research to guide new therapeutic approaches, said Cosenzi, adding that these initiatives are an ambitious extension of her father’s efforts to find a cure for the disease that took his life. 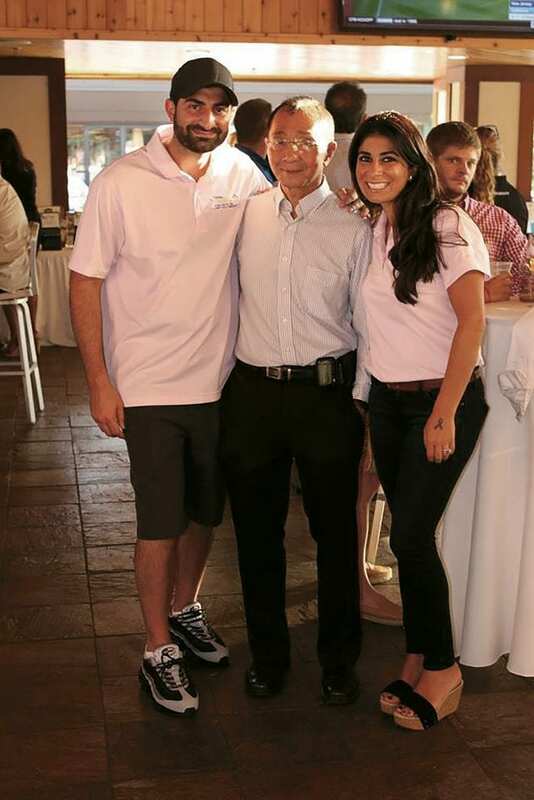 Carla Cosenzi and her brother, Tommy, left, with Dr. Patrick Wen, who is annually awarded the proceeds from the Driving for the Cure charity golf tournament. “These funds are unrestricted — he can take them and try anything with research that he wants to try,” she explained. “It’s almost impossible to get money like that, and they’ve done a lot of testing and trial drugs with the money. Cosenzi said the tournament has become a labor of love, much like the car business itself, with planning for the following year’s event beginning literally within days after the trophy is handed out and the proceeds presented to Wen from the just-completed tournament. And it represents just one of the many ways Cosenzi, now a winner of multiple BusinessWest awards — she was the top scorer in the Forty Under 40 class of 2012 — has become a Difference Maker in the region. Others include her success in business, her emergence as a role model of sorts for young women pursuing careers in business and mothers trying to balance life and work, and her commitment to following in her father’s footsteps not only as a manager of people but as one who gives back to the community. And that ‘wanting more’ and setting higher goals refers not only to selling Volkswagens, Nissans, and Volvos, but also to raising money to fight cancer. In each realm, she does, as they might say in this business, put the pedal to the metal. She could have left it at that, but didn’t. Carla Cosenzi says the charity golf tournament named in honor of her father, like the family business itself, has become a labor of love for her. But, and this is a big but, she went on to explain that her control-freak nature, while certainly not restricted to golf-tournament management, doesn’t really extend to management at the TommyCar Auto Group. Indeed, she said that over the years — and it hasn’t been all that many years, to be sure (she’s only 39) — she’s learned that good managers master the art of delegation. Knowing when and when not to delegate is one of the many things Cosenzi has learned in a career that is many ways just getting started and still adding intriguing chapters. Like most all second- (or third- or fourth-) generation members of auto-business owning families, Cosenzi remembers practically growing up at the dealership, in this case Springfield Chrysler Plymouth on Boston Road in Springfield, one of several stores her father would eventually own and manage. Later, when she would return to this region for summer break from high school, she would work at the dealership moving cars, making sure they were clean, and related tasks. And as she got a little older, she drifted into sales and quickly developed both an affinity for, and a passion for, that side of the business. “I always loved the idea of selling cars — it was fun, and I was making decent money,” she said, recalling that, by this time, the mid-’90s, it was still rare to see women in positions other than the back office in auto sales, primarily because the industry didn’t work very hard to attract women. Today, the situation is much different, a climate we’ll get to later. First, back to how Cosenzi arrived at the large office at Northampton Volkswagen, managing four dealerships and more than 150 employees. That was certainly not the plan when she enrolled at Northeastern University and studied clinical psychology. With her undergraduate degree, she worked at a hospital in the area, and eventually enrolled at Columbia to earn her master’s in clinical psychology and lived in New York City for a year and a half. And that’s exactly what happened, she went on, adding that she missed one window for applying for doctorate programs, and in the eight or nine months before the next window would open, her career outlook would change dramatically. Indeed, as noted earlier, as her father got her involved in more aspects of the business, she was drawn into it and decided she wanted to stay in — before her father was diagnosed. She spent a year going back and forth to McLean, Va. and the National Automotive Dealer Association’s Dealer Academy. She progressed from being a salesperson at Patriot Buick GMC in Charleton to being a finance manager, to sales manager, and was moving to the point of “managing the managers, rather then being a manager,” as she put it, when her father got sick in 2007 at only 49 years of age. Doctors gave Tom Cosenzi less than a year to live. He would actually live another 2½ years. Over that time, Carla would learn still more about the business from him and, with her brother, complete a transition of the business to the next generation. 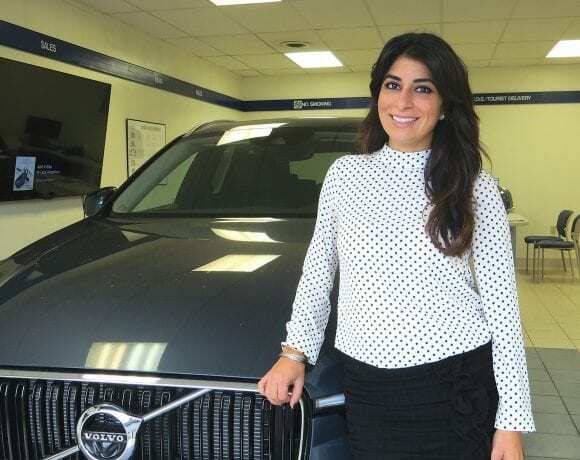 Over the past several years, they’ve expanded the TommyCar Auto Group to its present four dealerships, the latest addition being Volvo Cars Pioneer Valley in South Deerfield, acquired last summer. Along the way, Carla has become the marketing face of the business, and even her young children, Talia, 4, and Nico, 3, have become well-known to those listening to the radio or watching local television. Far less well known is how Carla said she grappled with the transition from car sales to managing a sales team to managing managers and ultimately making her mark in an industry dominated by men. “There’s a huge difference between being a manager for my father and being a leader and managing other managers,” she said. “Luckily, I think I earned the respect of the people here after working in the business for so long. But figure it out she did, she said, adding that there was a lot of learning by doing — but also some restaffing, as she had to replace some people whose respect she couldn’t seem to earn and who didn’t want to do some of the things she suggested — things that her father might not have wanted to do. 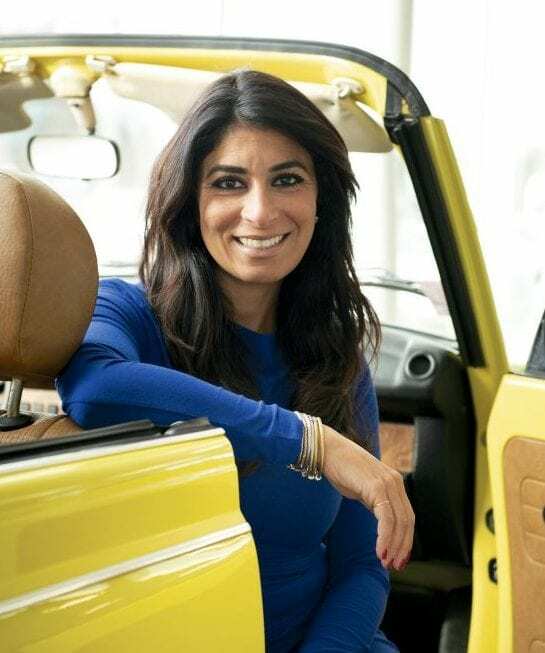 Ultimately, she said she’s much like in her father in many respects, especially in how she wants a dealership run and customers treated, but also in how employees are respected and business goals set and made. While transitioning to management of the family business, Cosenzi and her brother have also followed their father in another respect — giving back to the community. For Carla, such efforts have taken many forms, from work to create scholarships in her father’s name for students at several area high schools, to mentoring of young women, to public speaking on topics related to women in business and work/life balance. But much of her time and energy goes to the Drive for the Cure golf tournament, which has earned the support of a number of area businesses and individuals. She said the event is in some ways a continuation of an annual golf tournament her father ran as an outing for his employees. “That’s why it was so important for us to take that idea of all coming together and getting out and having some fun and turn it into a way to honor him and also raise money for a good cause,” she explained. And while her work at the four dealerships and with the golf tournament absorbs much of her time, she still finds some to occasionally mentor young women in various ways. For example, she frequently speaks at the region’s trade schools, offering words of advice and encouragement to young women looking at careers that been traditionally dominated by men. And she uses her own story to help get her points across. She’s also spoken before a number of women’s groups about subjects ranging from leadership to attracting women to her business, to the all-important issue of achieving work-life balance, something that is elusive and that she still struggles to attain. When she visits the office-supplies area at Northampton Volkswagen, Cosenzi can usually find signs that her children have been there — and have enjoyed themselves. That takes her back about 35 years or so to the Springfield Chrysler Plymouth dealership, where she started learning the ropes from a man who inspired her —and keeps on inspiring her — in all kinds of ways. Today, she’s inspiring others, as a business leader, a woman achieving balance in her life, an aggressive fighter against cancer, and an individual always looking for different ways to give back to her community. In short, as a Difference Maker. 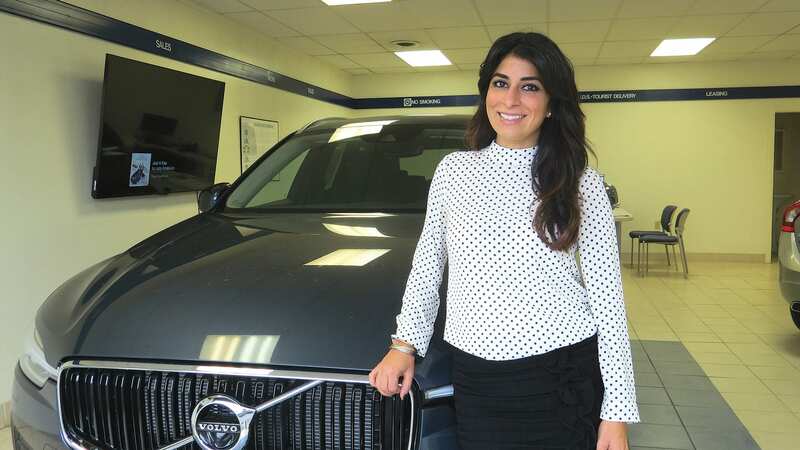 Carla Cosenzi says the recently acquired Volvo dealership in South Deerfield is a perfect fit for the TommyCar Auto group. Carla Cosenzi says that, like most companies in its category, the TommyCar Auto Group is always on the lookout for possible additions to the portfolio of dealerships. But growth for the sake of growth is not what this venture — started by her father, the late Tom Consenzi, and taken to a new level by Carla and her brother, Tom — is looking for. “It’s important for us to have the right brand at the right time and the right location moreso than just looking to grow,” she told BusinessWest, adding that all those boxes could certainly be checked with the company’s recent acquisition of Pioneer Volvo in South Deerfield. Right location? Check. The dealership is only a few miles north on I-91 from the group’s other facilities — Northampton Volkswagen and the adjacent Country Hyundai, as well as Country Nissan on Route 9 in Hadley. Right brand? Check. Volvo has always been renowned for its quality and focus on safety, and it has recently introduced several new models, including a small SUV, the XC40, that is turning heads in the industry. Right time? Check. Auto sales in 2018 are just slightly off the levels set in 2017 — although the TommyCar Auto Group has registered growth over that span — but overall volume remains at very high levels. Overall, this acquisition is solid in every respect, said Cozenzi, adding that that it gives the TommyCar Auto Group its first real entry into the luxury-car bracket, meaning a brand that won’t really compete with the three sold just down the interstate. Meanwhile, the group’s size and economies of scale will enable it to give the Volvo dealership greater visibility and opportunities to grow. “It’s a small dealership, and it was family-owned and operated, so we’re going to continue the same values they had,” she explained. “But since we’re a bit of a larger group, we have the ability to add more amenities than they were able to provide, but with the same core values. Given all this, it’s understandable why the TommyCar Auto Group has had its eye on the Volvo dealership for some time, and also why it moved quickly and decisively when the family-owned operation came on the market earlier this year. Cozenzi said the dealership in Deerfield is, indeed, small compared to most these days, and not exactly modern. However, it is comfortable and well-appointed. She said it is likely the company will renovate it in the short term and replace it in the long term, meaning over the next several years. In the meantime, as she said, it is a solid addition to the portfolio, a brand with a number of redesigned models, cars, and SUVs alike. As an example, she noted ‘Care by Volvo,’ a comprehensive package of services that brings new layers of convenience to customers. Like she said … the right brand and the right time — and the right location.